The great defence debate: come on down! 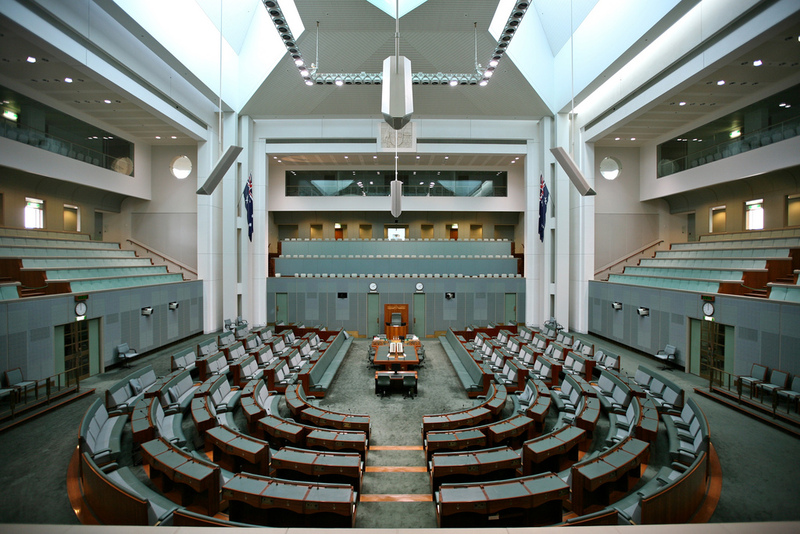 On 29 August, ASPI will host ‘the Great Defence Debate’ in Canberra between Mike Kelly, the Minister for Defence Materiel—who has been named by Kevin Rudd as Defence Minister should Labor be re-elected—and the Opposition Defence spokesman, David Johnston. Defence hasn’t rated highly as a public issue in an election campaign more obsessed with selfies than self-reliance. In one sense, that points to a reassuringly high level of bipartisanship on defence, which is no bad thing for policy continuity. Being deep in the comfort zone doesn’t push the envelope for critical thinking, but for at least a golden sixty minutes after lunch on the 29th, the Great Defence Debate will open the door on some substance. Here’s hoping. Four key questions come to mind as the essential points on which our prospective ministers must be tested. As the debate won’t be held under exam conditions, I have no problem sharing these posers in advance with ASPI’s readership. Your time starts now. Gentlemen, both government and opposition say they want defence spending to return to two per cent of gross domestic product. How exactly do you intend to bring that about, and when? High marks here will be awarded to the individual able to show a coherent plan bringing the defence budget back into growth. Presumably this will start with an audit of defence spending plans, and the usual suspects—civilians, senior managers, the accursed ‘duplication’ of stuff—will be rounded up for a jolly good thrashing. A reform initiative will be announced, harvesting efficiencies. That will delay for 12 months the need to address defence spending increases, but the tough job in the next three years will be when government gets to grips with what everyone knows is the mismatch between the capital equipment acquisition plan and the budget . My hunch is that neither a Prime Minister Rudd nor a Prime Minister Abbott will relish making decisions to cut battalions, combat aircraft or ships, so Australia will find itself reprioritising defence and increasing spending towards the end of the forward estimates. Rather than waiting for providence to show us the way, our prospective Ministers should set a target year for spending to start growing and make it their top objective for Cabinet to sign up to that plan. So what’s going to be new about any defence white paper or policy statement you will deliver? In some respects this is a tougher question for Mike Kelly because he’d face the challenge of bringing new policy forward without publically trashing the contradictory elements of the 2009 and 2013 white papers. (You know the ones; the big spending, strategically pessimistic, muscular, maritime one verses the shrinking budget, benign region, move-on-nothing-to-see-here one.) The problem for both prospective ministers is that the coin of white papers has been devalued. From the days when white papers were major exercises in policy thinking , both in look and substance, the fact is that white papers today barely amount to more than a blip in the constant flurry of media announcements. The challenge for a new minister will be to reinvest some gravitas into the next white paper. Top marks will go to answers that promise a classified study ahead of a public document; where the Minister offers to spend time with Defence’s senior leadership actually working through the issues; where Cabinet puts in some hours setting defence priorities rather than launch plans; and where there’s a believable link between strategy, force structure and dollars. Do you think that Australia needs to make a choice between its alliance interests with the United States and its economic relationship with China? This one’s really a slow full toss for our debaters, but points will be awarded for enthusiasm. Mike Kelly should draw attention to the government’s strong record in building closer, more comprehensive relations with both the United States (increased Marine and Air Force cooperation) and China (new bilateral dialogue arrangements). Well, actually that was under Prime Minister Gillard, but Australia continues to manage both sets of relations skilfully, without the US or China wanting us to make a choice. For his part, David Johnston can point to a high quality Coalition record with both relationships. The essential point for both speakers is that they should take the time to refute this little bit of academic puffery. It’s astounding the number of foreign observers of Australia who think that Australia really is galvanised by a choice debate. In the absence of governments coherently explaining their policies, alternate formulations will slowly take over, inch by column inch. Do you intend to take a strategic look at the need for 12 submarines, or are you content to let an unstated industry policy drive Australia’s biggest ever military acquisition? Ouch, that’s a tough one. High marks will be given to a promise of an open look at the strategic roles and purposes of this capability requirement. This will surely require a more systematic look at the cost benefit trade-offs involved across all Defence capabilities and at other options that might deliver similar strategic effects. A special prize may well be awarded for the most creative explanation for why the answer is 12. What was the question again? That’s my list of questions. If you have a question which you think should be put at ASPI’s Great Defence Debate, please send it to us via the ‘want to write for us or reply?’ button at the top right of this page. We’ll publish a selection of these before Thursday 29 August. Peter Jennings is the Executive Director of ASPI. Image courtesy of Flickr user Alex Proimos .